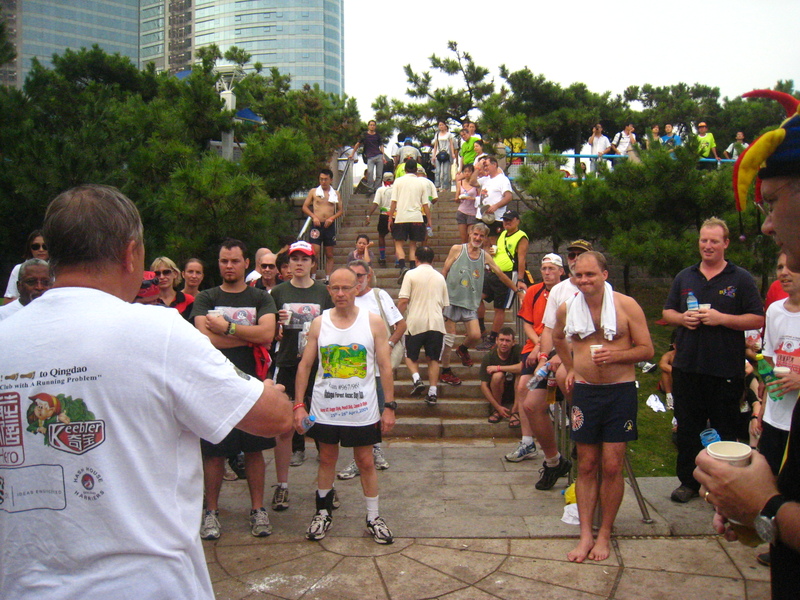 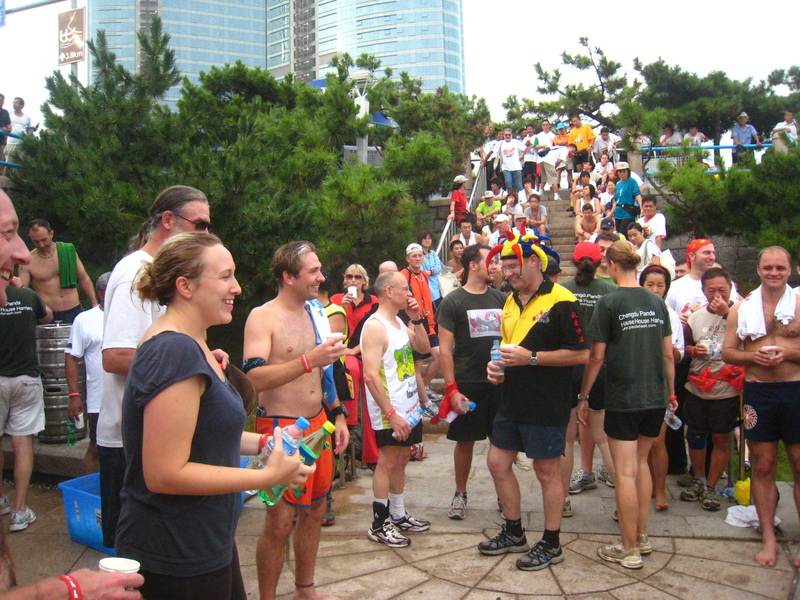 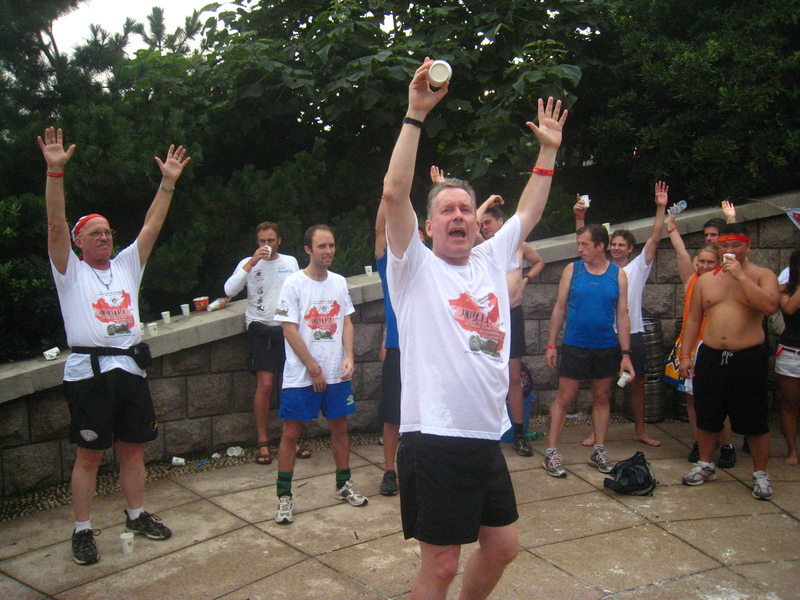 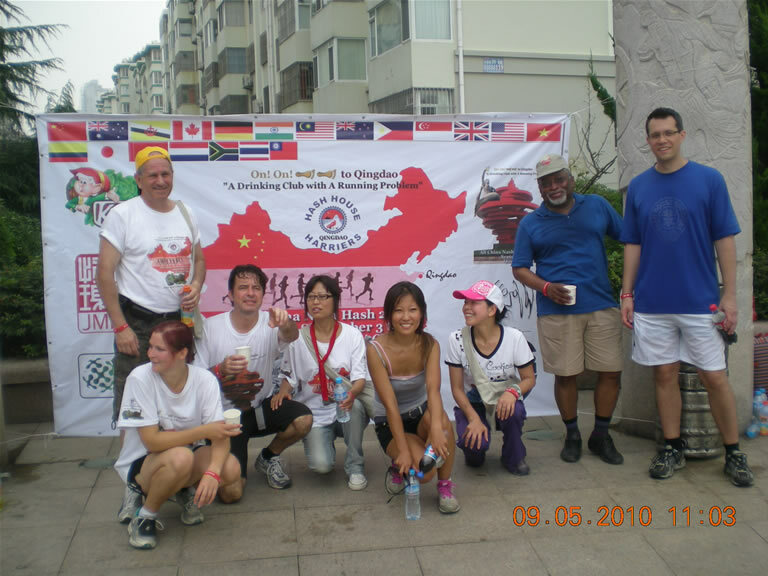 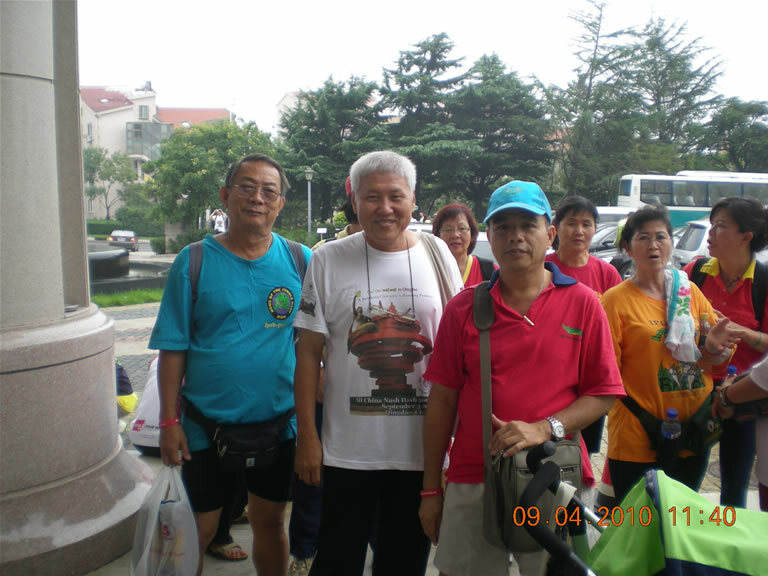 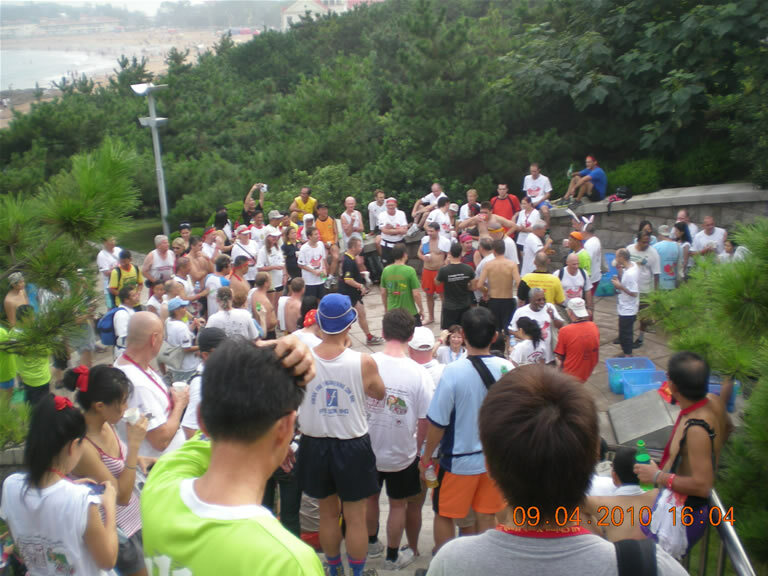 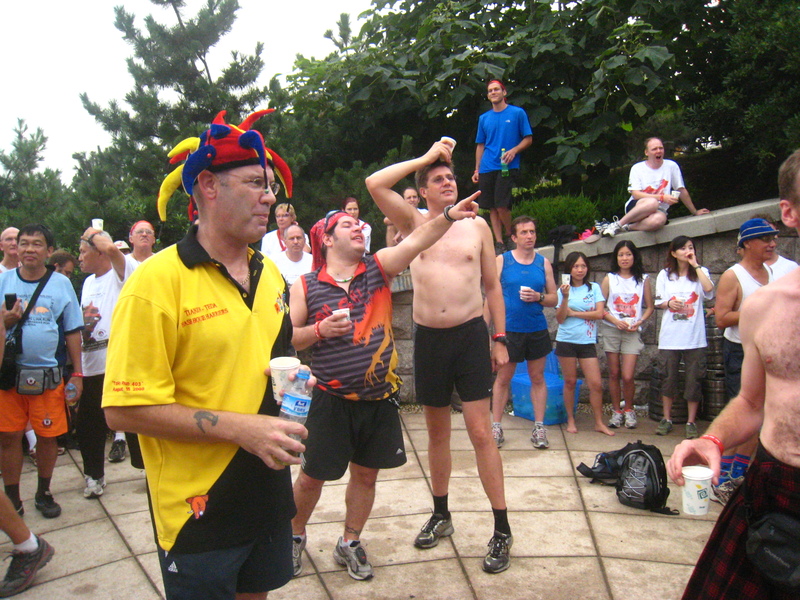 The ninth, organized by Qingdao HHH, was held 2-5 Sept 2010. 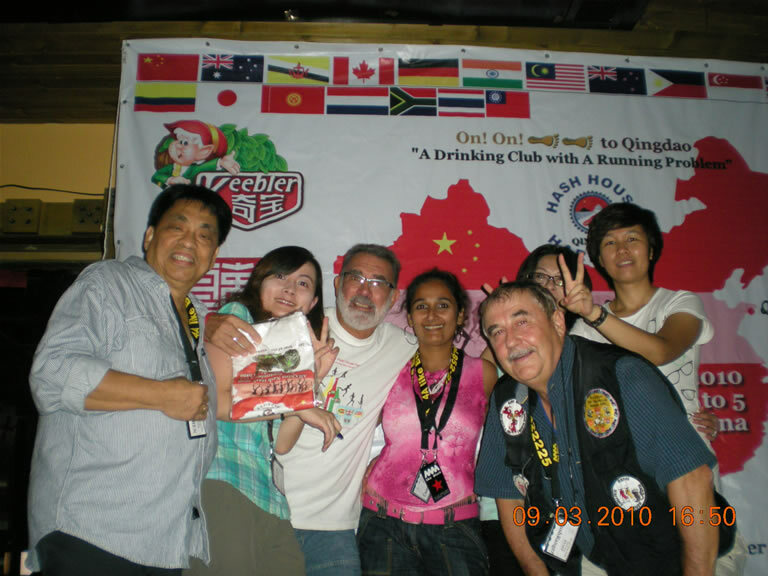 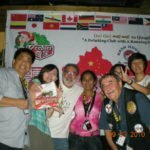 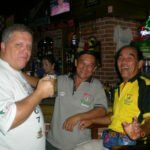 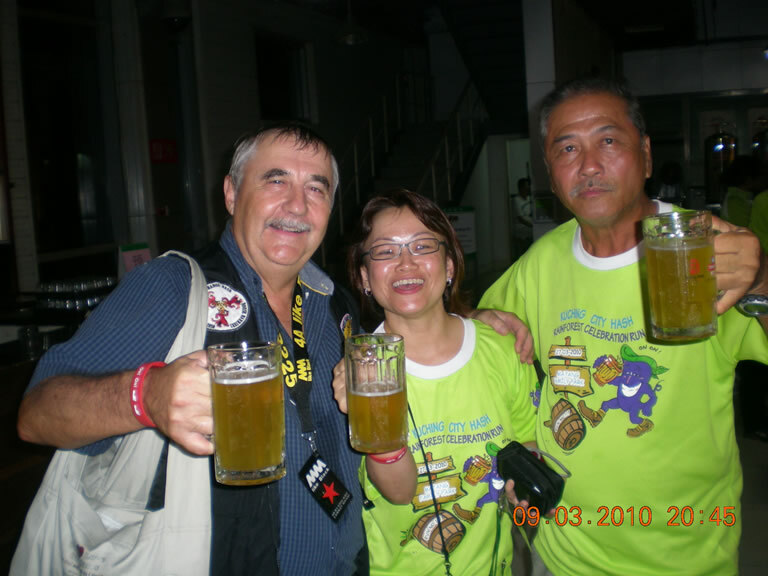 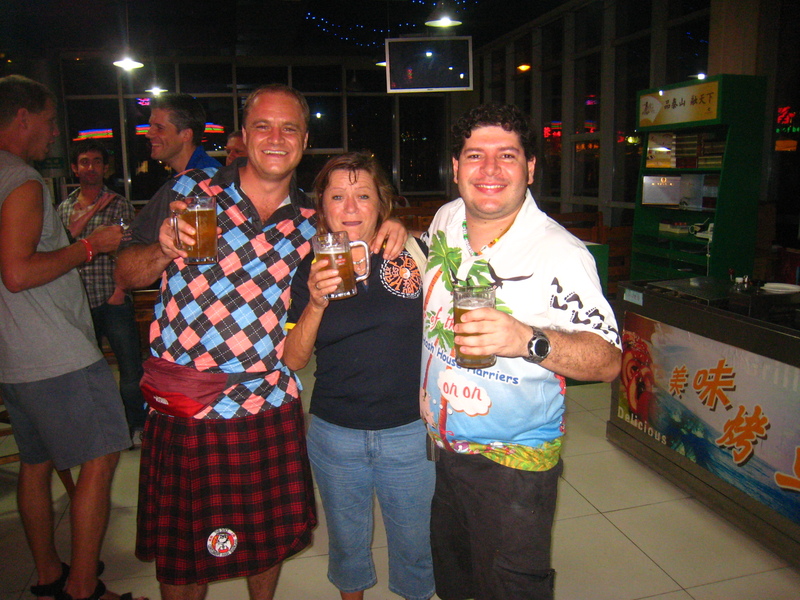 Friday rego was at LPG bar followed by a party at the Tsingdao Brewery in Beer Street. 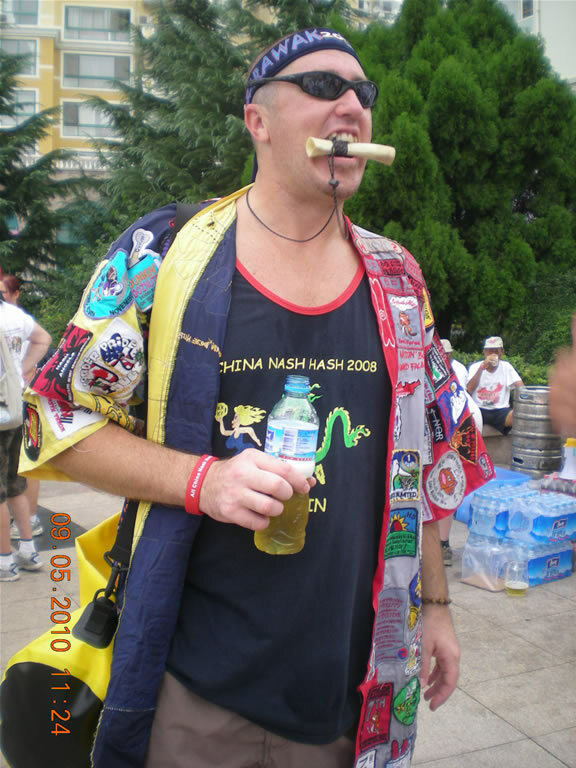 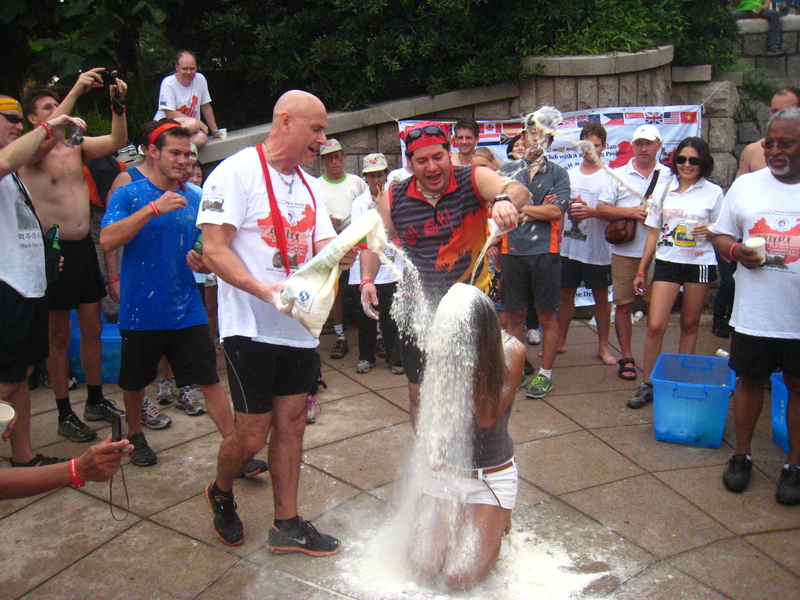 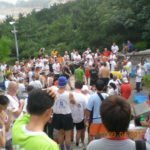 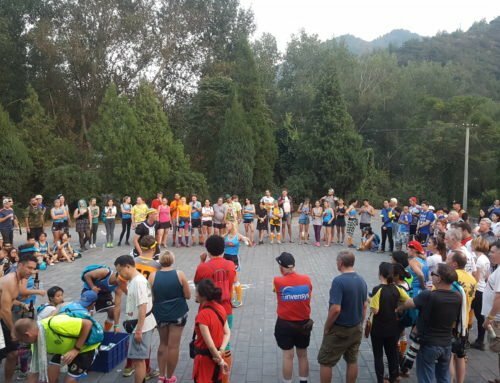 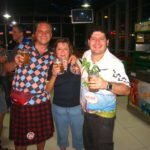 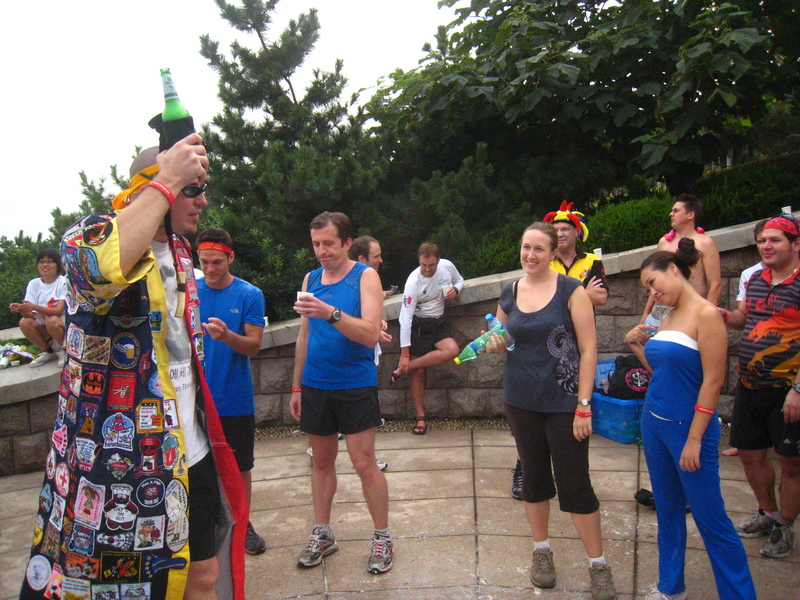 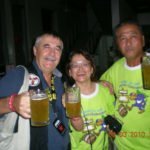 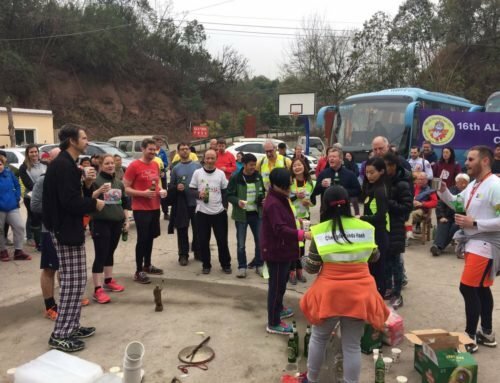 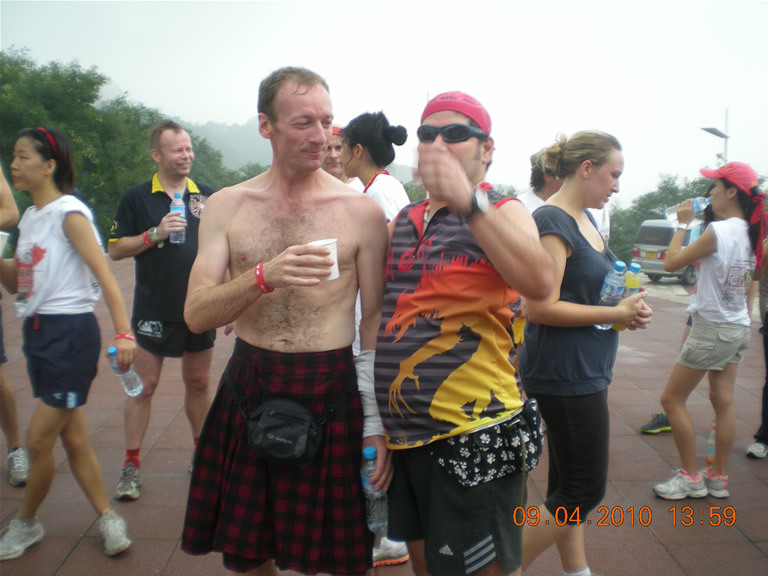 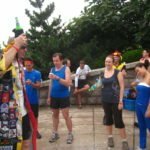 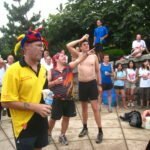 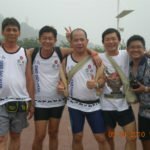 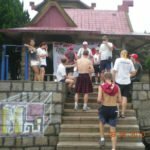 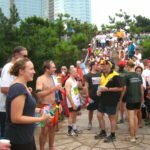 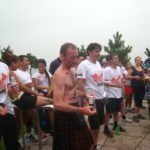 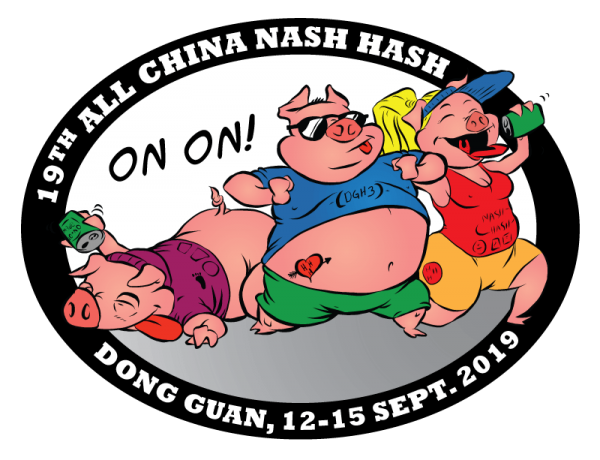 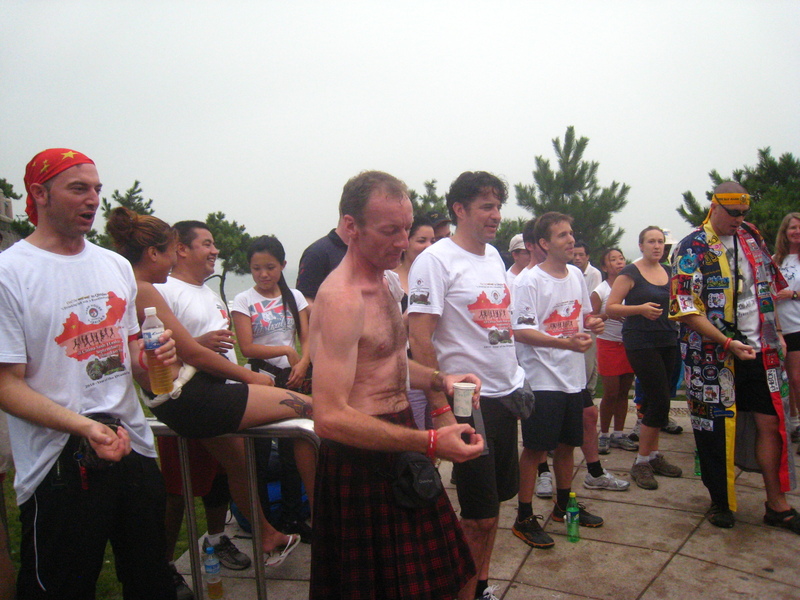 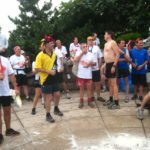 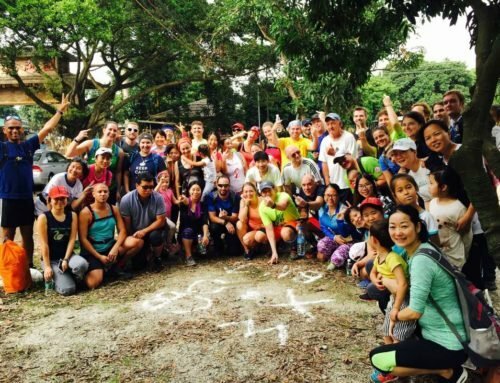 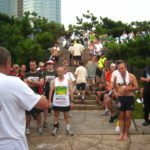 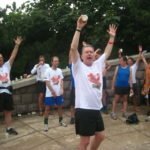 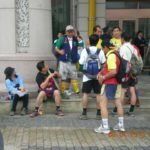 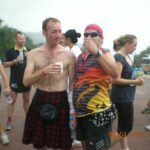 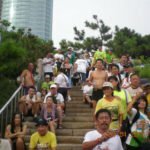 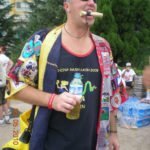 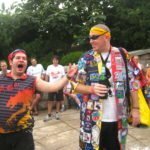 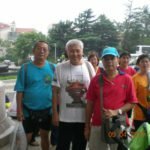 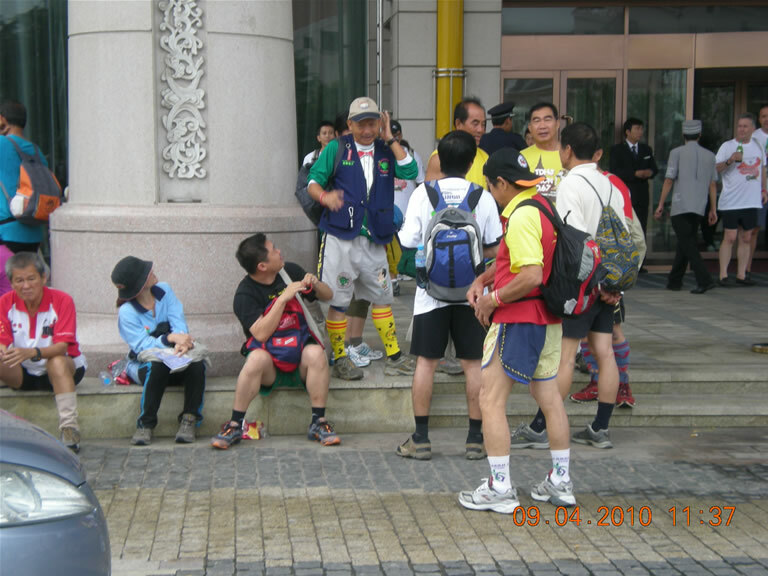 Buses on Sat started from the Hai Qing Hotel and the runners met the walkers at the TV tower for a beer stop, then both trails went down to the broadwalk along the seaside to finish on beach no 3 for the circle. 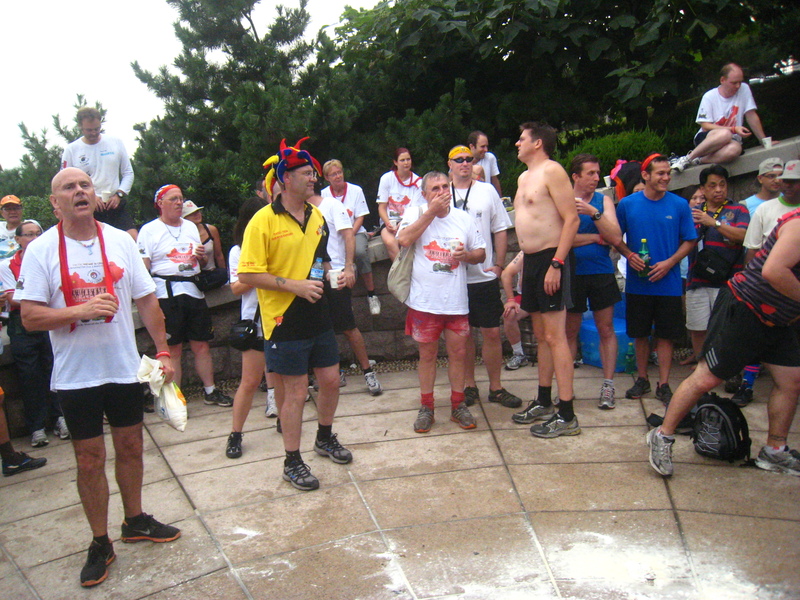 There was a surprisingly significant amount of off road running for what was basically still a city run. 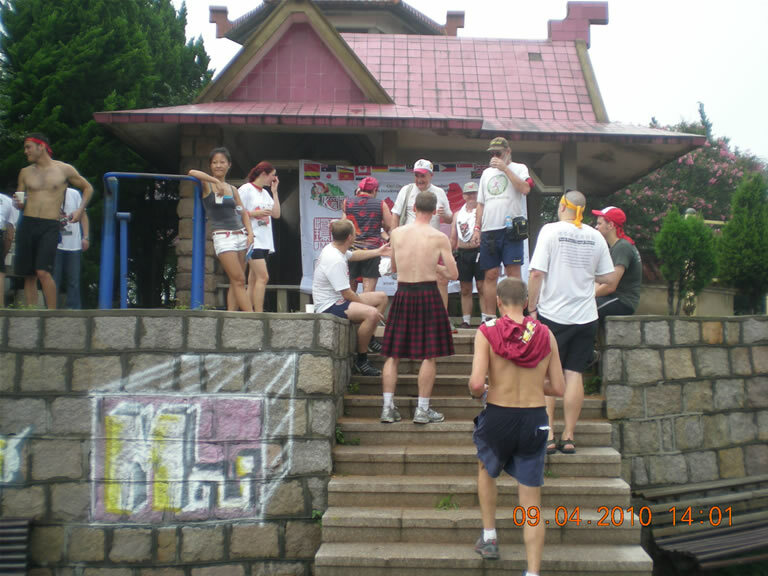 The trails were set by Bush Ranger and Lickamick. 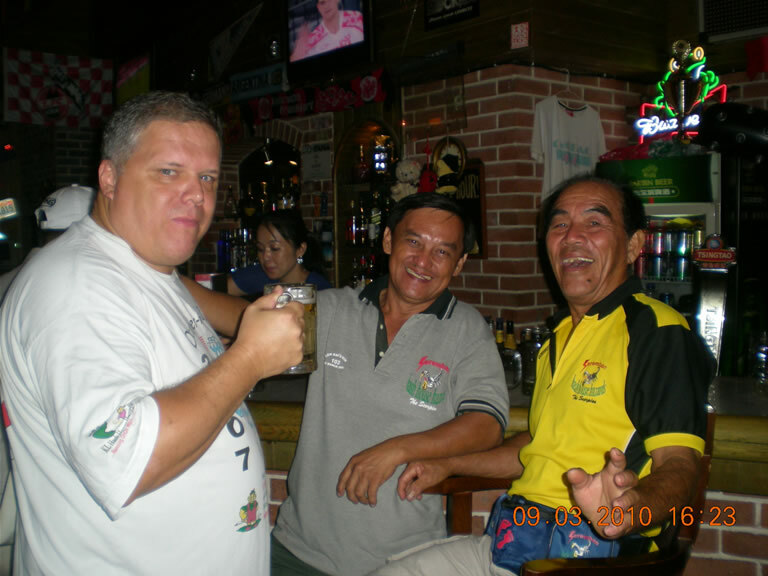 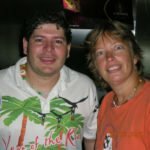 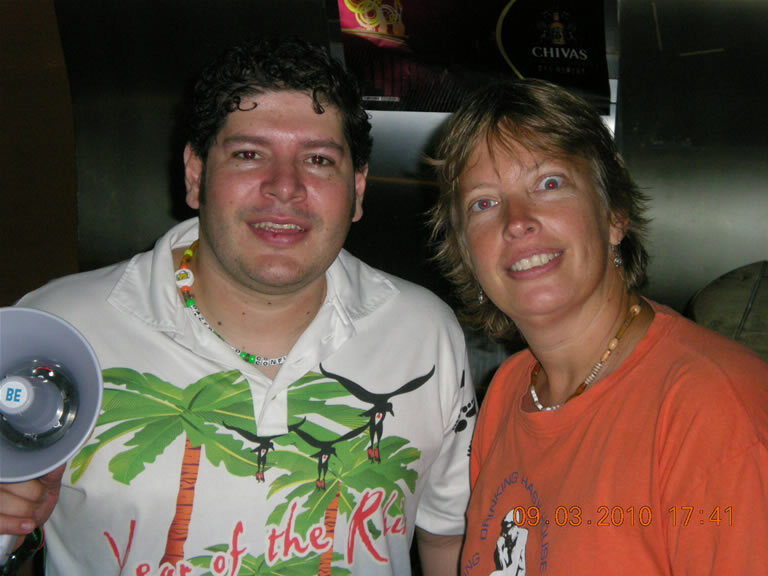 Dinner was at Golden Hans followed by party at Lennon Bar. 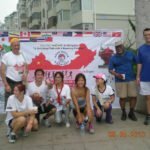 Sunday run and walk started from HiSense mall and went thru the Olympic Marina before winding along the coast then cutting back to Hong Kong Square for the circle. 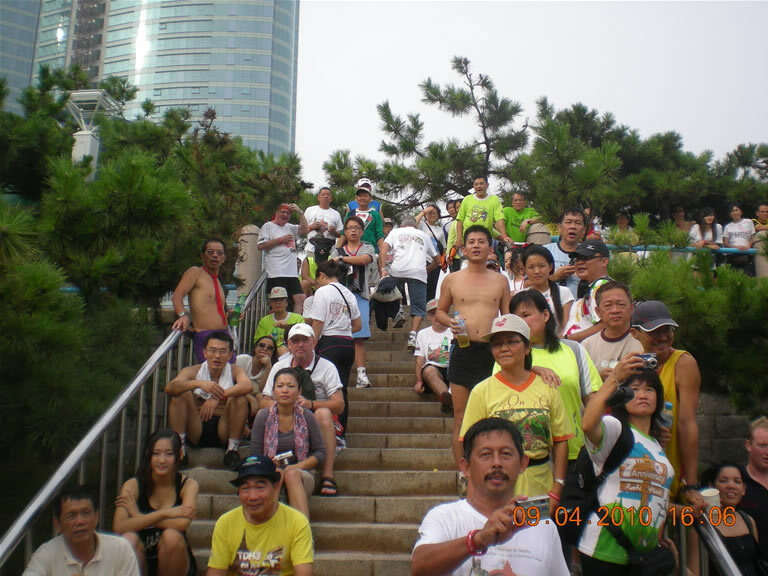 Again a lot of non road running even though within the city. 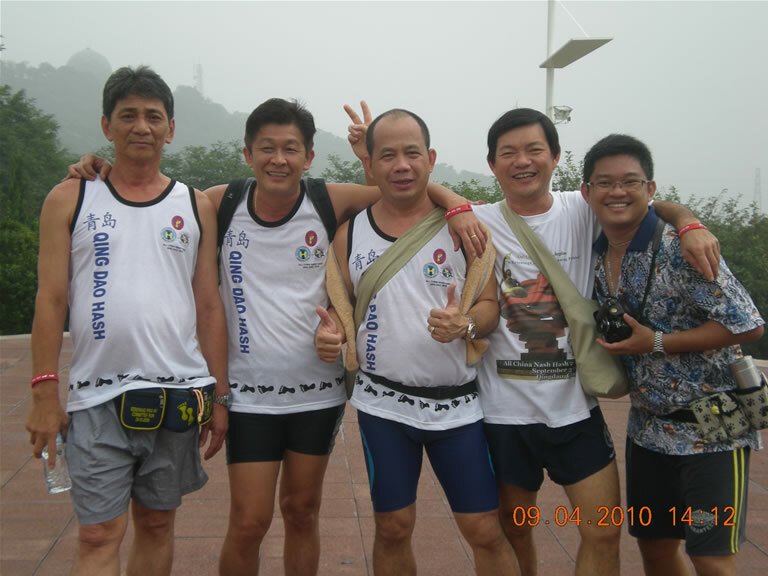 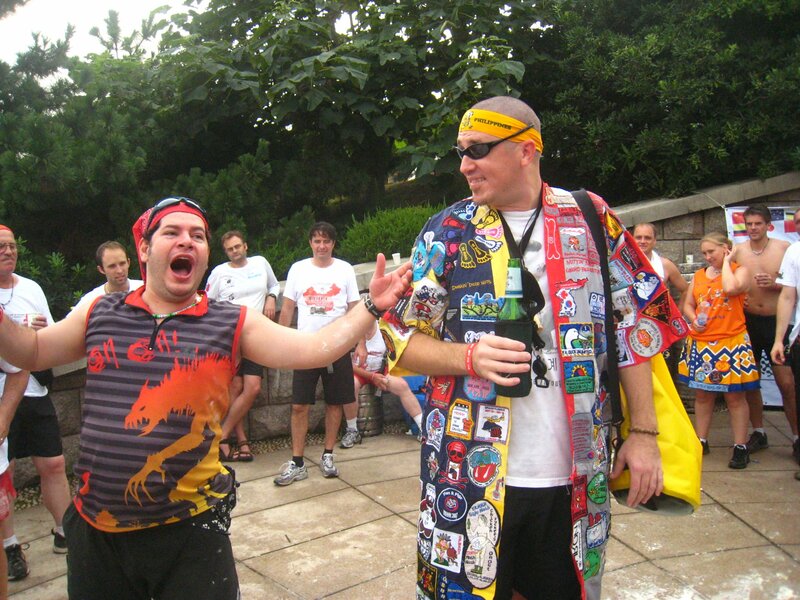 Run and walk set by Jelly Mellow and Bicurious.